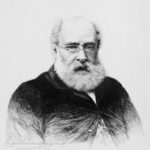 Anthony Trollope was an English novelist of the Victorian era. Among his best-known works is a series of novels collectively known as the Chronicles of Barset shire, which revolves around the imaginary county of Barset shire. He also wrote novels on political, social, and gender issues, and other topical matters. Trollope’s literary reputation dipped somewhat during the last years of his life, but he had regained the esteem of critics by the mid-20th century. "It may almost be a question whether such wisdom as many of us have in our mature years has not come from the dying out of the power of temptation, rather than as the results of thought and resolution." "They who do not understand that a man may be brought to hope that which of all things is the most grievous to him, have not observed with sufficient closeness the perversity of the human mind." "There is no happiness in love, except at the end of an English novel." "Marvelous is the power which can be exercised, almost unconsciously, over a company, or an individual, or even upon a crowd by one person gifted with good temper, good digestion, good intellects, and good looks." "As to happiness in this life it is hardly compatible with that diminished respect which ever attends the relinquishing of labour." "A woman’s life is not perfect or whole till she has added herself to a husband. Nor is a man’s life perfect or whole till he has added to himself a wife." "Neither money nor position can atone to me for low birth." "A fellow oughtn’t to let his family property go to pieces." "In these days a man is nobody unless his biography is kept so far posted up that it may be ready for the national breakfast-table on the morning after his demise."